The Achtung! 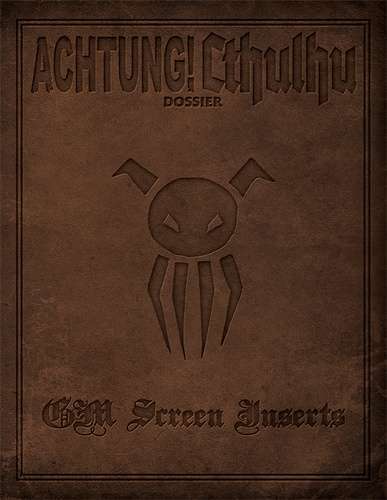 Cthulhu GM Screen PDF provides both front facing artwork and GM facing pages of tables. Designed for use with the customisable portrait format US Letter size GM screen you will receive PDF's of Achtung! Cthulhu rules summaries and useful tables for both Call of Cthulhu and Savage Worlds systems with both printer friendly (no background) and full colour versions. This title was added to our catalog on January 20, 2015.